Jarý, V. - Havlák, L. - Bárta, J. - Nikl, M.: Preparation, luminescence and structural properties of rare-earth-doped RbLuS2 compounds. Physica Status Solidi (RRL) - Rapid Research Letters. 2012, vol. 6, no. 2, p. 95-97. ISSN 1862-6270. Lewis, W. - Harwood, L.M. - Hudson, M.J. - John, J. - Distler, P. - et al. : Synthesis amd evaluation of lipophilic BTBP ligands for An/Ln separation in nuclear waste treatment: The effect of alkyl substitution on extraction properties and implications for ligand design. European Journal of Organic Chemistry. 2012, vol. 2012, no. 8, p. 1509-1519. ISSN 1434-193X. Čuba, V. - Pavelková, T. - Bárta, J. - Gbur, T. - Vlk, M. - et al. : Preparation of inorganic crystalline compounds induced by ionizing, UV and laser radiations. Radiation Physics and Chemistry. 2012, . ISSN 0969-806X. Mihóková, E. - Vávrů, K. - Horodyský, P. - Chewpraditkul, W. - Jarý, V. - et al. : Thermally stimulated luminescence in Ce-doped yttrium oxyorthosilicate. IEEE Transactions on Nuclear Science. 2012, . ISSN 0018-9499. Distler, P. - John, J.: Study of Extraction Properties of BTBP-compounds. In Jaderná energetika, transmutační a vodíkové technologie v pracích mladé generace - 2011. Praha: Česká nukleární společnost, 2012, s. 13-18. ISBN 978-80-02-02360-9. (in Czech). Mareš, K. V. - John, J. - Němec, M.: Verification and characterisation of XRF-analysis for the study of the possibility to decontaminate spent solvents issuing the DIAMEX and/or SANEX processes. In Přednášky semináře Radioanalytické metody IAA 11. Praha: Spektroskopická společnost Jana Marka Marci, 2012, s. 16-22. ISBN 978-80-904539-4-4. (in Czech). Raindl, J. - Špendlíková, I. - Němec, M. - Šebesta, F. - Zavadilová, A. - et al. : Uranium separation and concentration from groundwaters using TiO-PAN sorbent and its determination with a TRLFS method. In Přednášky semináře Radioanalytické metody IAA 11. Praha: Spektroskopická společnost Jana Marka Marci, 2012, s. 33-37. ISBN 978-80-904539-4-4. (in Czech). Bárta, J. - Pavelková, T. - Čuba, V. - Pospíšil, M. - Jarý, V.: Radiation-induced preparation of nanocrystalline Y2O3:Ce. In 27th Miller Conference on Radiation Chemistry. Amersham: Miller Trust for Radiation Chemistry, 2011, p. 59. Bláha, P. - Múčka, V. - Čuba, V.: Effect of hydroxyl radical scavengers on the radiosensitivity of microorganisms.. In 27th Miller Conference on Radiation Chemistry. Amersham: Miller Trust for Radiation Chemistry, 2011, p. 65. Čuba, V. - Pavelková, T. - Bárta, J. - Indrei, J. - Gbur, T. - et al. : Preparation of inorganic crystalline compounds induced by ionizing, UV and laser radiation. In 12th Tihany symposium on radiation chemistry. Budapest: Akadémiai Kiadó, 2011, p. 45. Gbur, T. - Čuba, V. - Múčka, V. - Pospíšil, M. - Vlk, M. - et al. : Properties of composite scintillating material ZnO:Ga(La) in transparent polymer matrix, prepared via UV radiation. In 27th Miller Conference on Radiation Chemistry. Amersham: Miller Trust for Radiation Chemistry, 2011, p. 71. Mareš, K. V. - John, J. - Šebesta, F.: Decontamination of Spent DIAMEX Solvents Containing Contaminants Difficult to Strip. In GLOBAL 2011. Tokio: Atomic Energy Society of Japan, 2011, p. 105. Pavelková, T. - Čuba, V. - Šebesta, F.: Prospective photo- and radiation-induced formation of actinide oxides. In 27th Miller Conference on Radiation Chemistry. Amersham: Miller Trust for Radiation Chemistry, 2011, p. 70. Špendlíková, I. - John, J. - Lhoták, P.: Extraction Properties of Thiacalixarene Dendrimer Molecules. 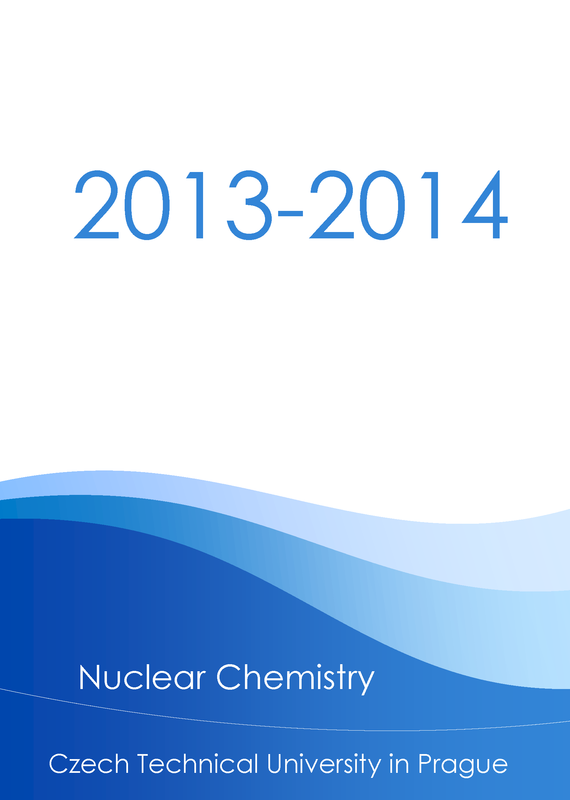 In 41emes Journees des Actinides - Programme and Proceedings. Bratislava: Slovenská fyzikálna spoločnosť, 2011, p. 91. ISBN 978-80-970625-1-4. Červinka, R. - Štamberg, K. - Havlová, V. - Noseck, U.: Humic substances extraction, characterization and interaction with U(VI) at Ruprechtov site (CZ). Radiochimica Acta. 2011, vol. 99, no. 3, p. 167-178. ISSN 0033-8230. Čuba, V. - Indrei, J. - Múčka, V. - Nikl, M. - Beitlerová, A. - et al. : Radiation induced synthesis of powder yttrium aluminium garnet. Radiation Physics and Chemistry. 2011, vol. 80, no. 9, p. 957-962. ISSN 0969-806X. Čuba, V. - Silber, R. - Múčka, V. - Pospíšil, M. - Neufuss, S. - et al. : Radiolytic formation of ferrous and ferric ions in carbon steel - deaerated water system. Radiation Physics and Chemistry. 2011, vol. 80, no. 3, p. 440-445. ISSN 0969-806X. Gbur, T. - Čuba, V. - Múčka, V. - Nikl, M. - Knížek, K. - et al. : Photochemical preparation of ZnO nanoparticles. Journal of Nanoparticle Research. 2011, vol. 2011, no. 13, p. 4529-4537. ISSN 1388-0764. Harwood, L.M. - Lewis, F.W. - Hudson, M.J. - John, J. - Distler, P.: The Separation of Americium(III) from Europium(III) by Two New 6,6'-Bistriazinyl-2,2'-bipyridines in Different Diluents. Solvent Extraction and Ion Exchange. 2011, vol. 29, no. 4, p. 551-576. ISSN 0736-6299. Havlák, L. - Jarý, V. - Nikl, M. - Boháček, P. - Bárta, J.: Preparation, luminescence and structural properties of RE-doped RbLaS2 compounds. Acta materialia. 2011, vol. 59, no. 16, p. 6219-6227. ISSN 1359-6454. Palágyi, Š. - Štamberg, K.: Determination of 137Cs and 85Sr transport parameters in fucoidic sand columns and groudwater system. Central European Journal of Chemistry. 2011, vol. 9, no. 5, p. 798-807. ISSN 1895-1066. Lujaniene, G. - Beneš, P. - Štamberg, K. - Vopálka, D. - Ranžiuté, E.: Study of Pu(IV) and Am(III) sorption to clay minerals: laboratory experiments and modeling. Proceedings in Radiochemistry [online]. 2011, vol. 1, no. 1, p. 237-244. ISSN 2193-2875. Kovařík, P. (poř.) - Frýbort, J. (poř.) - Bílý, T. (poř.) - Heraltová, L. (poř.) - Krmela, J. (poř.) - et al. : European Nuclear Young Generation Forum 2011. [Pořádání konference]. 2011. Akin, A.C. - Kovařík, P. - John, J. - Navratil, J.D. : Destruction of Radioactive Organic Waste and Recovery of Uranium from Lignites Using Molten Salt Oxidation. In Proceedings of DAE-BRNS Symposium on Nuclear and Radiochemistry. Trombay, Mumbai: Scientific Information Resource Division, Bhabha Atomic Research Centre, 2011, p. 76-79. Drtinová, B. - Štamberg, K. - Vopálka, D. - Zavadilová, A.: Characterization of Uranium Behavior in the Ruprechtov Site (CZ). In The New Uranium Mining Boom: Challenge and Lessons Learned. Heidelberg: Springer-Verlag, GmbH, 2011, p. 547-556. ISBN 978-3-642-22121-7. Višňák, J. - Vetešník, A. - Štamberg, K. - Bok, J.: Study of the speciation in the system UO2(2+)-SO4(2-)-H2O by means of the UV-VIS spectrophotometry. In The New Uranium Mining Boom: Challenge and Lessons Learned. Heidelberg: Springer-Verlag, GmbH, 2011, p. 643-652. ISBN 978-3-642-22121-7. Šarek, J. - Kvasnica, M. - Vlk, M. - Biedermann, D.: Semisynthetic Lupane Triterpenes with Cytotoxic Activity. In Pentacyclic Triterpenes as Promising Agents for Cancer Therapy. Hauppauge NY: Nova Science Publishers, Inc., 2010, p. 159-189. ISBN 978-1-60876-973-5. Bárta, J. 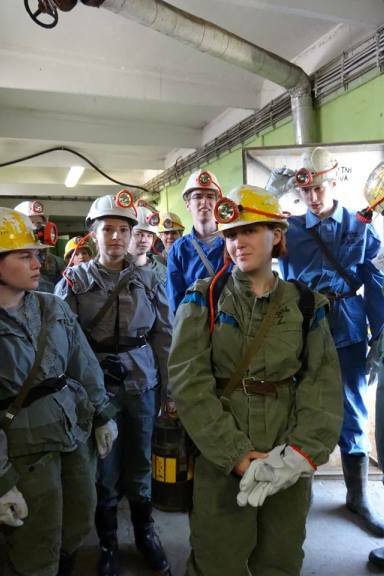 - Pospíšil, M. - Čuba, V.: Photo- and radiation-induced preparation of nanocrystalline copper and cuprous oxide catalysts. Journal of Radioanalytical and Nuclear Chemistry. 2010, vol. 286, no. 3, p. 611-618. ISSN 0236-5731. Čuba, V. - Gbur, T. - Múčka, V. - Nikl, M. - Kučerková, R. - et al. : Properties of ZnO nanocrystals prepared by radiation method. Radiation Physics and Chemistry. 2010, vol. 79, no. 1, p. 27-32. ISSN 0969-806X. Čuba, V. - Němec, M. - Gbur, T. - John, J. - Pospíšil, M. - et al. : Radiation formation of colloidal silver particles in aqueous systems. Applied Radiation and Isotopes. 2010, vol. 68, no. 4-5, p. 676-678. ISSN 0969-8043. Čuba, V. - Pavelková, T. - Múčka, V.: Effect of dose and dose rate of gamma radiation on catalytic activity of catalase. Journal of Radioanalytical and Nuclear Chemistry. 2010, vol. 286, no. 3, p. 619-624. ISSN 0236-5731. Drtinová, B. - Pospíšil, M.: Behavior of cadmium(II) in irradiated aqueous solutions. Journal of Radioanalytical and Nuclear Chemistry. 2010, vol. 286, no. 3, p. 631-636. ISSN 0236-5731. Drtinová, B. - Pospíšil, M. - Čuba, V.: Products of radiation removal of lead from aqueous solutions. Applied Radiation and Isotopes. 2010, vol. 68, no. 4-5, p. 672-675. ISSN 0969-8043. Havlová, V. - Vopálka, D.: HTO as a conservative tracer used for characterization of contaminant migration in porous rock environment. Journal of Radioanalytical and Nuclear Chemistry. 2010, vol. 286, no. 3, p. 785-791. ISSN 0236-5731. Jarý, V. - Nikl, M. - Mihokova, E. - Bohacek, P. - Trunda, B. - et al. : Photoluminiscence of Pb2+-doped SrHfO3. Radiation Measurements. 2010, vol. 45, no. 3-6, p. 406-408. ISSN 1350-4487. Kužel, F. - Bělohlávková, P. - Špendlíková, I. - John, J. - Šebesta, F.: Study of HDEHP-PAN Solid Extractants for the Determination of 90Sr. Journal of Radioanalytical and Nuclear Chemistry. 2010, vol. 286, no. 3, p. 729-734. ISSN 0236-5731. Lujaniene, G. - Beneš, P. - Štamberg, K. - Joksas, K. - Vopálka, D. - et al. : Experimental study and modelling of Cs-137 sorption behaviour in the Baltic Sea and the Curonian Lagoon. Journal of Radioanalytical and Nuclear Chemistry. 2010, vol. 286, no. 2, p. 361-366. ISSN 0236-5731. Lujaniene, G. - Beneš, P. - Štamberg, K. - Sapolaite, J. - Vopálka, D. - et al. : Effect of natural clay components on sorption of Cs, Pu and Am by the clay. Journal of Radioanalytical and Nuclear Chemistry. 2010, vol. 286, no. 2, p. 353-359. ISSN 0236-5731. Múčka, V. - Bláha, P. - Čuba, V.: Measurement of growth and survival curves of microorganisms influenced by radiation. Journal of Radioanalytical and Nuclear Chemistry. 2010, vol. 286, no. 3, p. 603-610. ISSN 0236-5731. Palágyi, S. - Štamberg, K.: Modeling of transport of radionuclides in beds of crushed crystalline rocks under equilibrium non-linear sorption isotherm conditions. Radiochimica Acta. 2010, vol. 98, no. 6, p. 359-365. ISSN 0033-8230. Palágyi, S. - Štamberg, K.: Transport of 125I-, 137Cs+ and 85Sr2+ in granitoidic rock and soil columns. 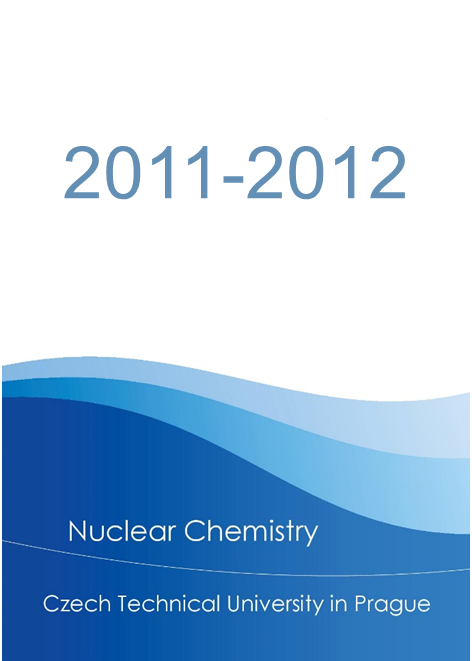 Journal of Radioanalytical and Nuclear Chemistry. 2010, vol. 286, no. 2, p. 309-316. ISSN 0236-5731. Palágyi, S. - Štamberg, K. - Vodičková, H.: Transport and sorption of Sr-85 and I-125 in crushed crystalline rocks under dynamic flow conditions. Journal of Radioanalytical and Nuclear Chemistry. 2010, vol. 283, no. 3, p. 629-636. ISSN 0236-5731. 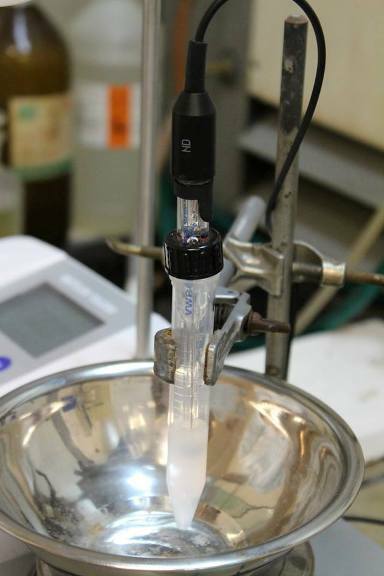 Šťastná, K. - Fiala, V. - John, J.: Preparation of Samples for Alpha-spectrometry by Direct Evaporation of Extracted Species. Journal of Radioanalytical and Nuclear Chemistry. 2010, vol. 286, no. 3, p. 735-739. ISSN 0236-5731. Vokál, A. - Vopálka, D. - Večerník, P.: An approach for acquiring data for description of diffusion in safety assessment of radioactive waste repositories. Journal of Radioanalytical and Nuclear Chemistry. 2010, vol. 286, no. 3, p. 751-757. ISSN 0236-5731. Vopálka, D. - Štamberg, K. - Motl, A. - Drtinová, B.: The study of the speciation of uranyl-sulphate complexes by UV-Vis absorption spectra decomposition. Journal of Radioanalytical and Nuclear Chemistry. 2010, vol. 286, no. 3, p. 681-686. ISSN 0236-5731. Černý, F. - Jech, V. - Kobliha, D.: Influencing of Reactivity and Catalytic Properties of Mixed Oxide Catalysts by Ion Implantation. In 2nd International Conference Nanocon 2010 [CD-ROM]. Ostrava: Tanger, 2010, ISBN 978-80-87294-18-5. 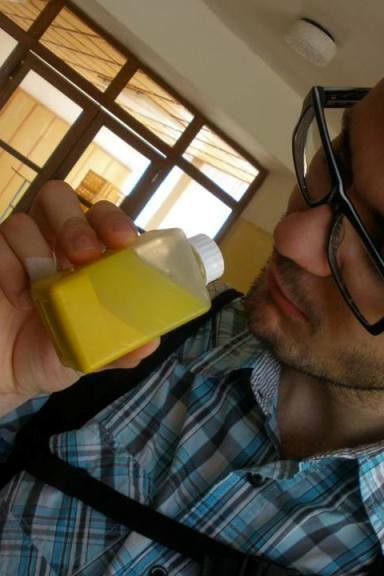 Beneš, P.: Radiotracer study of thorium complexation with humic acid at pH 2-11 using free-liquid electrophoresis. Radiochimica Acta. 2009, vol. 97, no. 6, p. 273-281. ISSN 0033-8230. Múčka, V. - Čuba, V. - Silber, R. - Pospíšil, M.: Reaction orders of radiation-induced dechlorination of some aliphatic chlorinated hydrocarbons in aqueous solutions. Radiation Physics and Chemistry. 2009, vol. 78, no. 4, p. 261-266. ISSN 0969-806X. Pejchal, J. - Nikl, M. - Mihóková, E. - Mareš, J.A. - Yoshikawa, A. - et al. 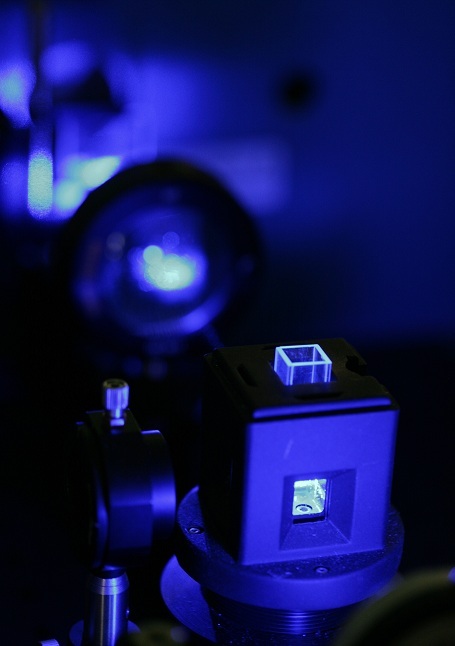 : Pr3+-doped complex oxide single crystal scintillators. Journal of Physics D: Applied Physics. 2009, vol. 42, no. 5, p. 1-10. ISSN 0022-3727. Bárta, J. - Pospíšil, M. - Čuba, V.: Effect of radiation on copper ions in aqueous solutions. In Workshop 09 CTU REPORTS [CD-ROM]. Prague: CTU, 2009, vol. B, p. 312-313. ISBN 978-80-01-04286-1. Pavelková, T. - Čuba, V. - Pospíšil, M. - Múčka, V.: Radiation preparation of nickel oxide and titanium dioxide nanoparticles. In Workshop 09 CTU REPORTS [CD-ROM]. Prague: CTU, 2009, vol. B, p. 310-311. ISBN 978-80-01-04286-1. Silber, R.: Catalytic activity of radiation induced silver nanoparticles in hydrogen peroxide decomposition. In Workshop 09 CTU REPORTS [CD-ROM]. Prague: CTU, 2009, vol. B, p. 302-303. ISBN 978-80-01-04286-1. Kobliha, D. - Pospíšil, M. - Čuba, V. - Múčka, V.: Influencing of Properties of Mixed Oxide Catalysts by Ionizing Radiation. In 61. Zjazd chemikov, Chem. Zi 5/9 2009. Bratislava: Slovenská chemická spoločnosť, 2009, p. 131. ISSN 1336-7242. Lučaníková M., Kučera J., Šebesta F.: New extraction chromatographic material for rhenium separation, In: Journal of Radioanalytical and Nuclear Chemistry. 2008, vol. 277, no. 2, p. 479-485. ISSN 0236-5731. John J., Šebesta F., Kameník J., Šuľaková J., Fišera O.: On the Way to a Chromatographic Process for Minor Actinides Partitioning from High Level Liquid Wastes, In: NRC7 CD Proceedings [CD-ROM]. Budapest: Hungarian Academy of Sciences, 2008, ISBN 978-963-9319-81-3. Buňata M., Múčka V., Čuba V.: Radiation dechlorination of some chlorinated aliphatic hydrocarbons, In: NRC7 CD Proceedings [CD-ROM]. Budapest: Hungarian Academy of Sciences, 2008, ISBN 978-963-9319-81-3. Lujaniene G., Beneš P., Štamberg K., Mažeika K., Vopálka D. et al. : Study of Iron Oxide Coating Effects on Cs, Pu and Am Sorption to Clays In: NRC7 CD Proceedings [CD-ROM]. Budapest: Hungarian Academy of Sciences, 2008, ISBN 978-963-9319-81-3. Krmela J., Jevíková J., Čubová K., Vetešník A., Štamberg K. - et al. : Studium speciace europia s kyselinou glykolovou metodou TRLFS, In: Chemické listy. 2008, roč. 102, č. 8, s. 711. ISSN 0009-2770. Pavelková T., Čuba V., Múčka V.: Způsob studia vlivu ionizujícího záření na aktivitu enzymů, In: Chemické listy. 2008, roč. 102, č. 8, s. 746. ISSN 0009-2770. Bárta J., Pospíšil M., Čuba V.: Vliv záření na kovové sloučeniny ve vodných roztocích, In: Chemické listy. 2008, roč. 102, č. 8, s. 745. ISSN 0009-2770. Vlk M., Šarek J., Hajduch M., Elbert T.: Syntéza selektivně značených lupanových triterpenoidů s cytotoxickou aktivitou, In: Chemicke Listy. 2008, roč. 102, č. 11, s. 1079. ISSN 0009-2770. Semelová M., Čuba V., John J., Múčka V.: Radiolysis of oxalic and citric acids using gamma rays and accelerated electrons, In: Radiation Physics and Chemistry. 2008, vol. 77, no. 7, p. 884-888. ISSN 0969-806X. Vetešník A., Semelová M., Štamberg K., Vopálka D.: Uranium(VI) sulfate complexation as a function of temperature and ionic strength studied by TRLFS In: Uranium, Mining and Hydrogeolology. Berlin: Springer-Verlag, 2008, p. 623-630. ISBN 978-3-540-87745-5. John J., Šebesta F., Semelová M., Čuba V., Steinerová J. et al. : Separation of Radionuclides from Complex Waste Matrices In: New Developments and Improvements in Processing of 'Problematic' Radioactive Waste. Vienna: International Atomic Energy Agency, 2007, p. 134-167. ISBN 978-92-0-110707-7. Čuba, V. - Múčka, V. - Pospíšil, M. - Silber, R.: Radiační odstraňování vybraných kontaminantů z podzemních vod In: Inovativní in-situ sanační technologie (chemické a biologické metody). Chrudim: Ekomonitor, Vodní zdroje, 2007, s. 24-29. ISBN 978-80-86832-28-9. Mathur J.N., Čubová K., Choppin G.R. : Thermodynamics and laser luminescence spectroscopy of binary and ternary complexation of Am3+, Cm3+ and Eu3+ with citric acid, and citric acid plus EDTA at high ionic strength, In: INORGANICA CHIMICA ACTA. 2007, vol. 360, no. 6, p. 1785-1791. ISSN 0020-1693. Vetešník A., Semelová M., Štamberg K., Homzová E., John J. et al. : Studium speciace uranu v prostředí síranových iontů metodou TRLFS, In: Chemické zvesti. 2007, roč. 3, č. 1, s. 167. ISSN 1336-7242.